Cox Business has announced the appointment of Mike Braham as vice president and general manager of Trapollo, a remote patient monitoring business the company acquired in 2015. In this role, Braham has P&L responsibility and will lead all aspects of strategy and executing of the Trapollo business plan. While Cox Business has served most medical centers within its footprint for decades, telehealth and remote patient monitoring represent a significant portion of Cox Business’ growth within the connected healthcare industry. With the remote patient monitoring market expected to grow at a cumulative annual rate of 17%*, Cox Business and Trapollo are building on the historic commitment to healthcare with recognized leadership and continued investment in product development. Trapollo is a leading provider of managed services that enable healthcare providers, home health agencies, and insurers to successfully deploy telehealth and remote health monitoring solutions. Trapollo designs deploys and manages large-scale nationwide telehealth and remote health monitoring programs for chronic disease management, independent living, and employer health and wellness programs. Braham brings a unique blend of strategic and operational experience in healthcare, telecommunications, and crisis management industries. He has extensive expertise in building high-performance teams, and has been a leader in public and private enterprise level organizations as well as smaller venture capital-backed firms. At Magellan Federal, a division of Magellan Healthcare, Mike was responsible for revenue growth, profit and loss performance, and led the development and execution of the sector’s strategic and operating plans that included over 1,500 employees across 300 facilities in 13 countries. Mike lead the acquisition of a $130 million target that doubled employees and revenue to over $300 million. Before his leadership role at Magellan Health, Mike served as chief of staff, head of strategy and innovation and head of member engagement and digital assets for Aetna’s $8 billion Medicare division. Focused on operational execution and enhancements, he championed several strategic initiatives including the design of a new member engagement strategy and the transformation of Aetna Medicare’s web-based enrollment capabilities. 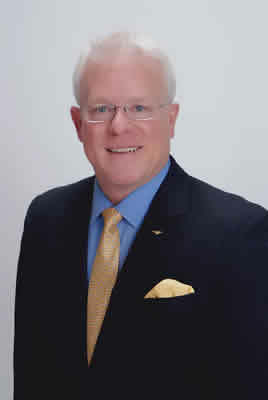 Mike also spent seven years with Cox Business as vice president of the company’s Hampton Roads market. In this role, he worked closely with CXOs at healthcare provider organizations, medical schools, and major universities to create new delivery and monitoring capabilities for chronically ill and aging constituents in both urban and rural underserved communities through emerging telemedicine applications. His strategic work in the healthcare vertical produced several of Cox Business’ largest customers and helped pave the path to the company’s overwhelming success in this strategic vertical market. The commercial division of Cox Communications, Cox Business, provides voice, data and video services for more than 350,000 small and regional businesses nationwide, including healthcare providers; K−12 and higher education; financial institutions; and federal, state and local government organizations. The organization also serves most of the top-tier wireless and wireline telecommunications carriers in the U.S. through its wholesale division. Cox Business is consistently ranked as one of the top Ethernet providers and is recognized by third parties for award-winning business telecom service. For more information, please visit www.coxbusiness.com and www.trapollo.com.